Perfect for popping in your purse or keeping close by for little notes or lists. 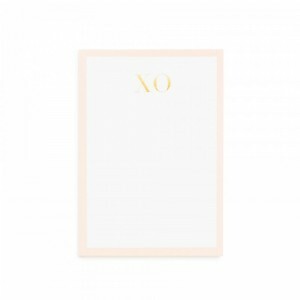 Printed with gold foil on pale pink and white paper. 50 sheets per pad, 3″ x 4.25″.